❖ Wavy Hair. Luscious waves of wefted hair made from natural, single drawn, 100% virgin Indian Hair. 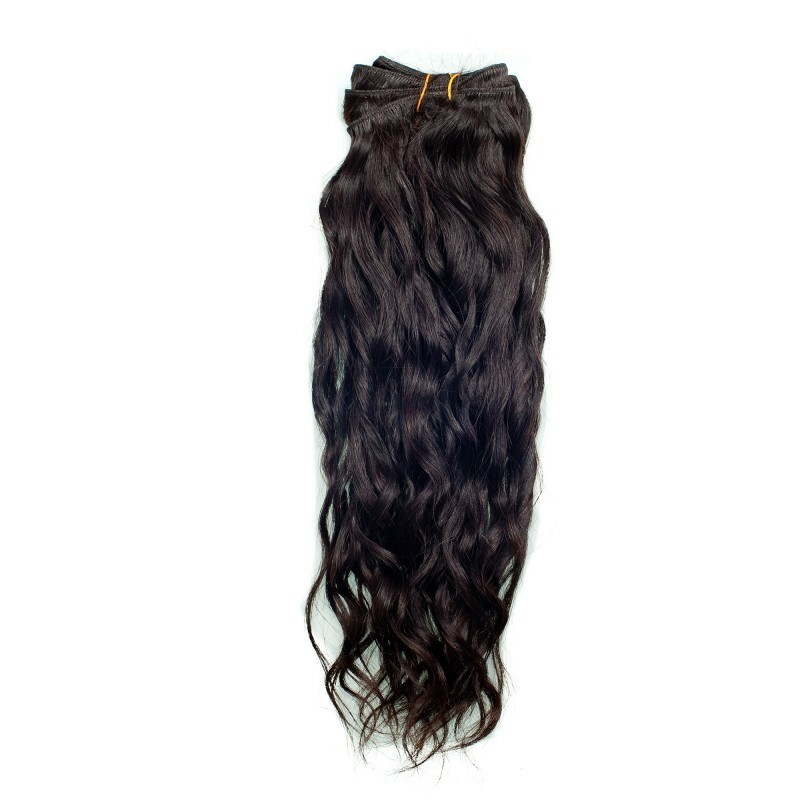 Our wavy extensions are made from naturally wavy hair which is 100% virgin Indian hair. This single-drawn hair is shiny, silky and yet thick and strong allowing for more bounce. 100% virgin Indian hair extensions are a welcomed replacement for harsh heat-based curling procedures, dangerous skin-drying and hair-damaging chemicals and constant treatment and upkeep. Natural Indian hair has the look, feel and texture, along with the waves and curls that you want without the hassle, time and exposure to damaging chemicals and treatments.